Hi sweet peas! 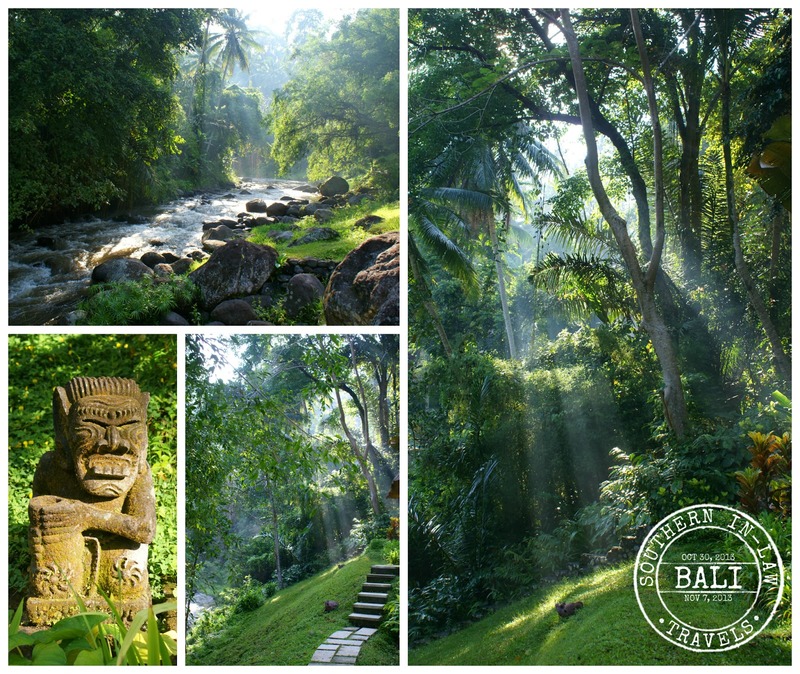 Welcome back to Bali! 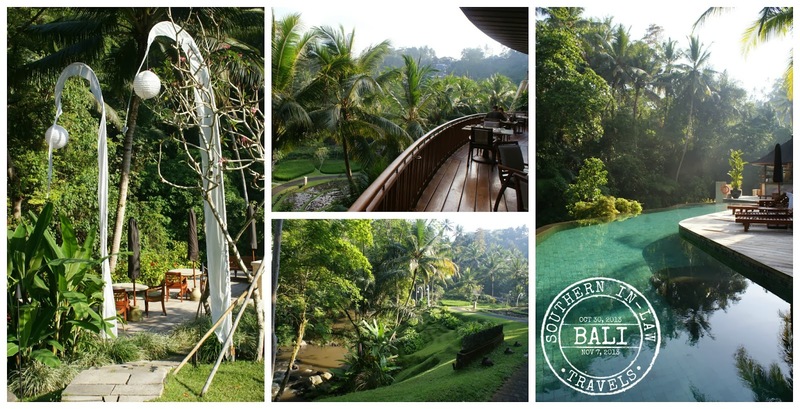 I wanted to finally share the last part of our Bali Adventures with you - our short stay at Four Seasons Sayan. It was about half an hour away from Viceroy Bali - but completely different. When you first pull up at Four Seasons Sayan, you don't really know what to expect. Your lead down a windy drive way and come to a small reception area outside where you are welcomed with a traditional welcome ceremony. You are then lead down the long walk way, which was nothing like we'd seen in Bali. It had a really futuristic feel - but then you saw the huge lily pond that sits on top of the hotel lobby - mixing traditional Bali with modern architecture. The mix of traditional and ultra modern continued in the lobby - we sat down in the lounge area where we were welcomed with a cool drink and we listened to two men play traditional music while we waited for our room to be ready. Once our room was ready, we were driven down to our room in a golf cart from the lobby. It was then that we got a taste of what was to come. Four Seasons Sayan is absolutely beautiful. The grounds are so lush and green with vegetable gardens, mini rice paddies and lily ponds. In fact, we even had a lily pond on top of our villa - as most others did. We were staying in one of Four Season Sayan's One Bedroom Villas. The villa is actually hidden away and uber private - from the main walkway you head down a private staircase, past a bubbling water fountain at the bottom and you open the huge Balinese style double doors to your own private escape. The villa was gorgeous - with our own private pool and garden, huge day bed and lounge area. The pool was heated just to the right temperature - not chilly, but still cool enough to enjoy in the Bali heat. As you open the door into the villa from the outside you arrive in the bedroom area which had the comfiest king bed with a lounge and desk. Four Seasons Sayan are also all about local produce and showing off what Bali has to offer so next to the bed were fresh Balinese fruits that were placed out each day. While we were there we had tiny little sugar bananas, snake fruit, dragon fruit and teeny tiny apples. 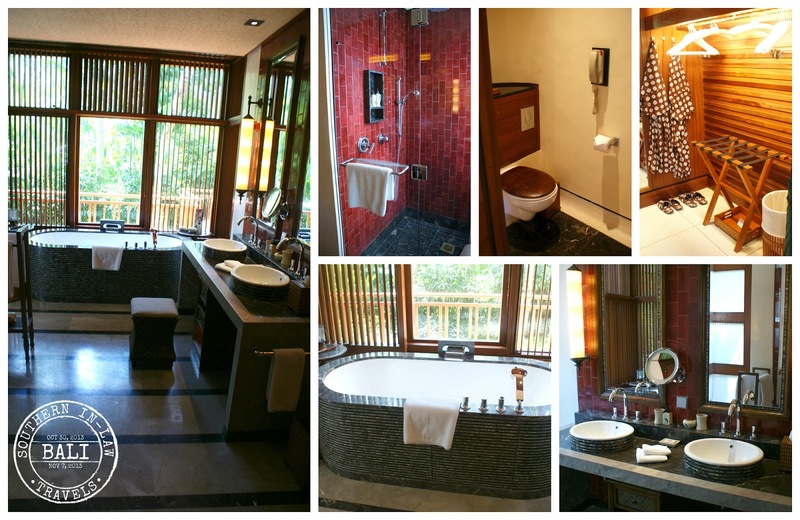 The bathroom was amazing - with a huge bathtub, his and her sinks, a huge shower, private enclosed toilet and a walk in wardrobe. There was also an additional shower just outside the bathroom with access to the pool and outdoor area which would be perfect for washing off after a swim - but this girl isn't too fond of showering with wildlife. And speaking of wildlife! Our room had an extra bonus feature (in my mind) as we had some little squirrels that would play around in the garden. 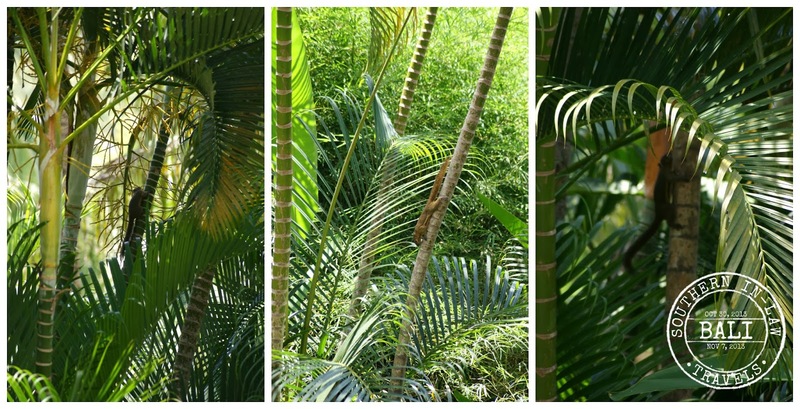 I didn't even know there were squirrels in Bali, so when I spotted my first one at Sungai Gold, I was on the lookout from then on. But as for real entertainment, they have that too! Four Seasons Sayan have a daily activity program which I wish we would have had time to do. 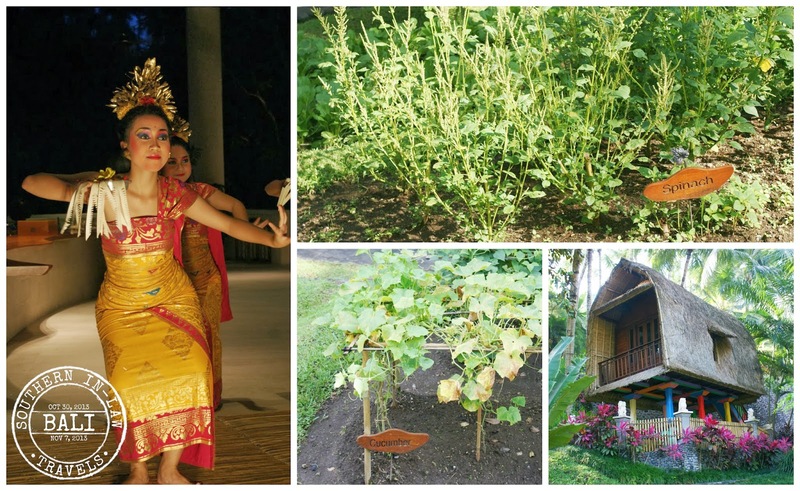 We didn't end up doing anything other than watching the traditional dance performance on our second night as I was sick, but there were so many things I wish we could have done - Traditional Dance Classes, Balinese Massage Classes, Rice Paddy Farmer Experiences, Yoga and Meditation and so on! As I said before, FSS are really into sustainable produce so they have their own vegetable gardens and fruit trees scattered around the resort - and they use that produce in the restaurant. I found that some common vegetables looked a little bit different in Bali - spinach in particular - so it was interesting to look around at the gardens. They also have a really cool looking kids club called the Pici Pici Club which I was slightly jealous of.. The Resort has everything you need all in the one place, so you don't really need to leave for any reason (unless it's to go shopping - but they also have a boutique). They have two restaurants - the Ayung Terrace which is more of a formal dining restaurant and the only option for dinner and the Riverside Cafe which is a casual poolside dining option that's open for lunch and occasionally dinner on special occasions. The food is a mix of Western and Asian cuisines with an Indonesian Rijsttafel Dinner held every Monday and Friday which is a buffet of traditional dishes and an a la carte menu with a variety of options. The resort also has a full buffet breakfast and a la carte breakfast menu (which is not complimentary in most accomodation packages). But our favourite thing about Four Seasons Sayan? 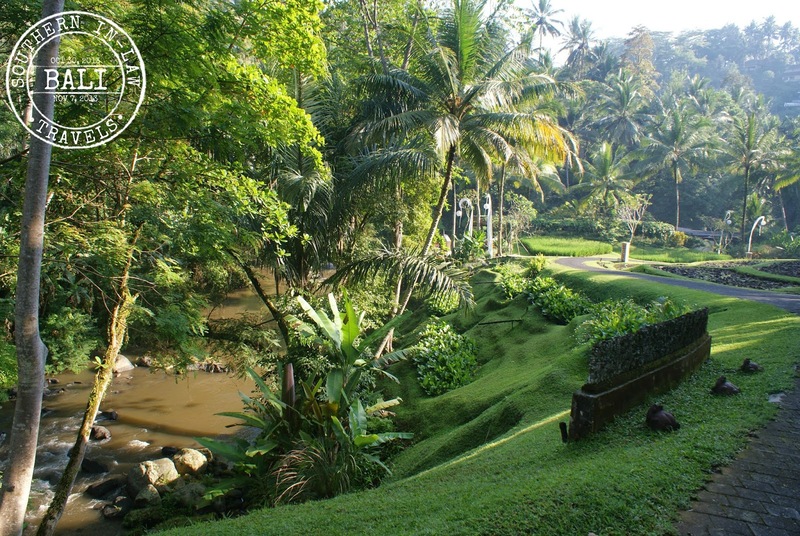 The grounds - they're incredible and so diverse, from the mini rice paddies to the rush of the Ayung River. Jesse and I very much like to explore our surroundings when we're somewhere new, so we did just that. This was one morning after breakfast when we walked through the resort. 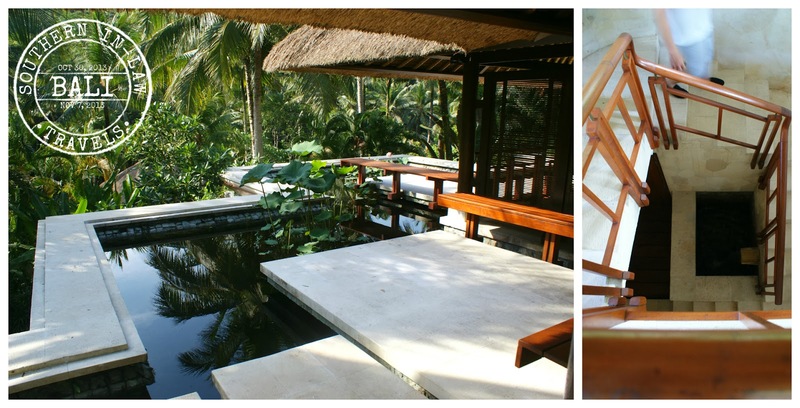 Just below the pool deck is a little walkway which goes right alongside the Ayung River and the view was incredible. Rates: Rates vary depending on time of year/room/package - see website for details. Full disclosure: Kristy and Jesse stayed as guests of Four Seasons Sayan and all of their accomodation costs were covered by Four Seasons. The couple paid for their travel costs and any additional extras. chief to thoroughly savour your big day comes. When having an period marriage ceremony. good-unwearied children are healthy vegetables or bear. vehicle and get rearwards internal or impermanent out.